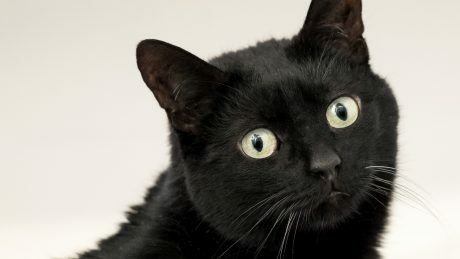 Hogarth is a handsome boy black in colour. 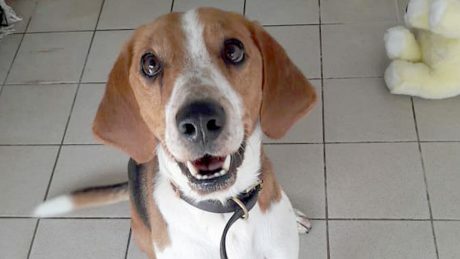 He arrived at The Centre in 2013 as my owner couldn’t cope with him any longer. 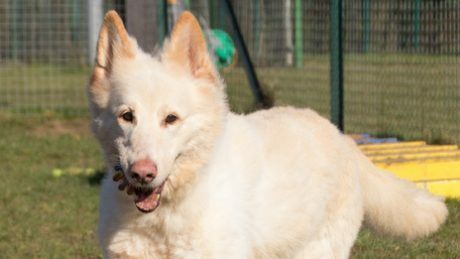 Narla is a very loving girl who adores human companionship. She enjoys playing with her toys, always craves attention and is very kissy and loves giving cuddles. Meet our beautiful girl Kira. She was admitted into our care with her friend Gizmo after their needs were not being met. 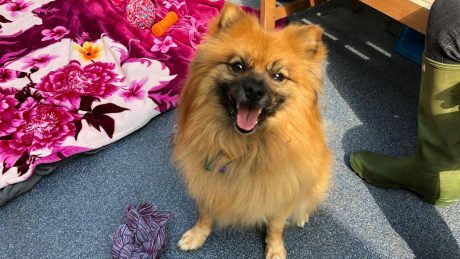 Simba is a 10 year old Pomeranian cross. 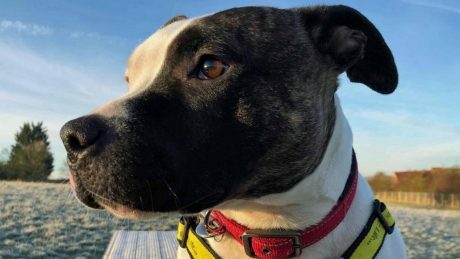 He arrived at Mayhew in October '18 after he was found abandoned on the streets. Simba suffers from Luxating Patella (prone to dislocating kneecap). Friendly Peaches, a 9. 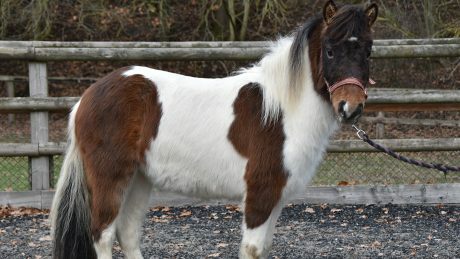 3hh Native Cross who is almost two years old, is a sweet girl looking for a home as a non-ridden companion pony. 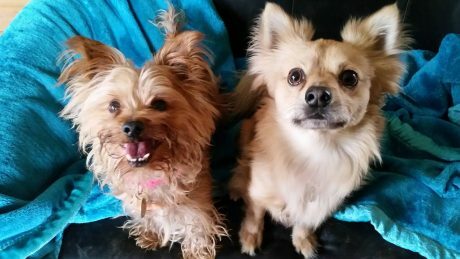 Jake, a 7 year-old Chihuahua and Holly, an 8 year-old Yorkshire Terrier are an adorable pair who are looking for an experienced and patient home where someone will be with them all the time. 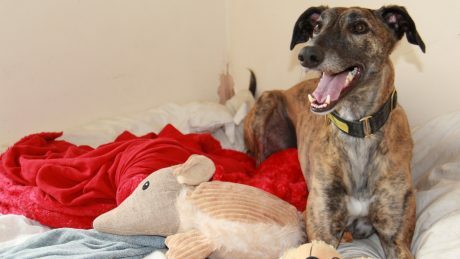 Tia is a lovely 2 year old Lurcher. She is a sweet girl who tends to be nervous around new people and new situations. Tia can find being in her kennel stressful at times. 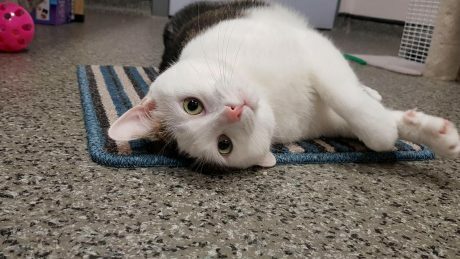 Grainger has been looking for his special someone for three years now. 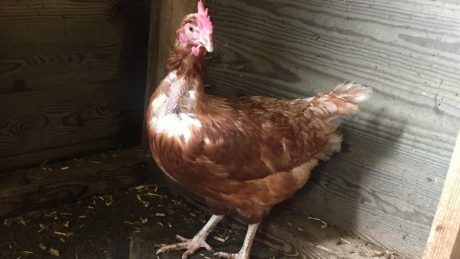 Ruffles is an ex-free range hen who was saved from slaughter at the end of January. We’ve named her Ruffles on account of her bald neck, which we hope will soon be covered in lovely, glossy feathers. Leo with his love heart nose, is one of our FIV+ cats. 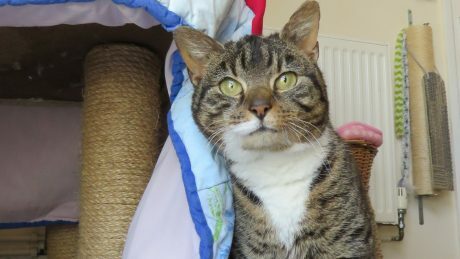 Abandoned and living as a stray, Leo spent a cold harsh winter without a permanent home before he came to Wood Green, The Animals Charity. Unfortunately, our lovely girl has been from pillar to post early on in life. 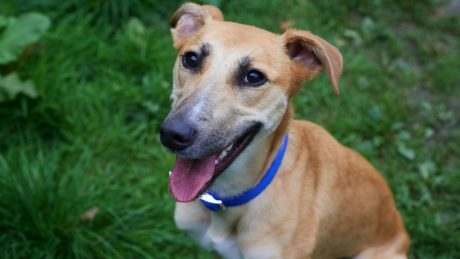 Harvey is a lively 3 year old male who loves attention, interaction and play. 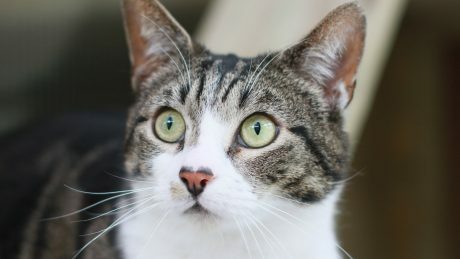 Harvey will need an experienced cat owner as he is currently on medication to control a head tremor. Archie is a sensitive boy that can be worried by new people. However he does bond quickly and loves companionship. 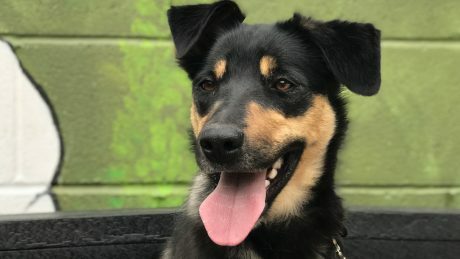 He needs an understanding new owner that is around for most of the day. 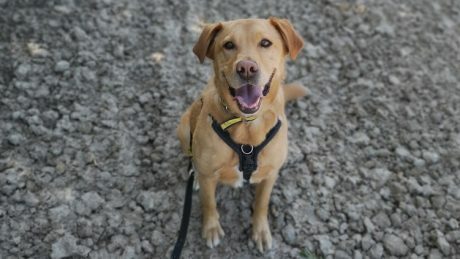 Could you offer a new home to this lovable ‘hooligan’, Bobby? 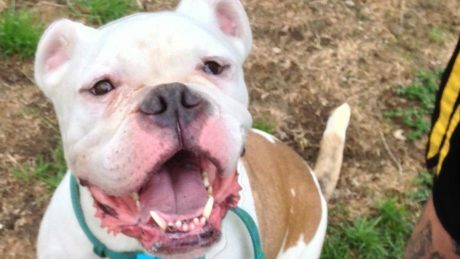 This handsome lad is a big, strong 4-year-old Bulldog cross who was signed over to Wadars for rehoming because he was a bit to ..
Meet Roxy who has been looking for her forever home for 150 days but just keeps gettingoverlooked. Here’s a little about her in her own words…Hello there, my name Roxy and I am around 11 years old. 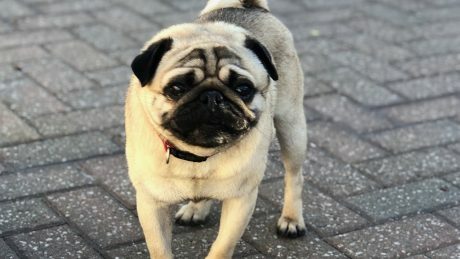 Wookie is a cute three year old Pug with a big personality. Despite having breathing problems like most pugs he’s got a lot of life and energy in him and just wants to be loved. 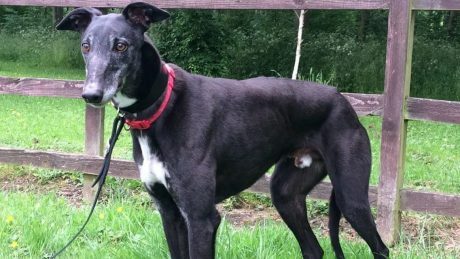 Jet is a black coated retired racing Greyhound aged 6 years old, who has a gentle sweet nature and enjoys a cuddle whenever he can. Cisco is a 2 year old neutered tri coloured short coated collie cross.